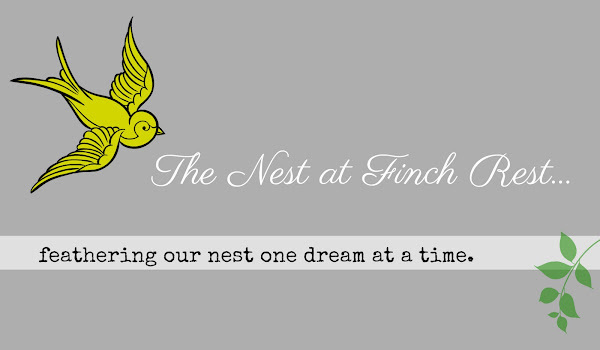 The Nest at Finch Rest: CHEERLEADING COMPETITION! 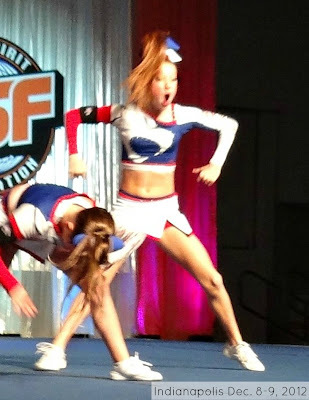 The reason I was out of town over the weekend for that delightful tea I posted about yesterday was to see my niece/god daughter compete in an intense cheering competition at the Indianapolis Convention Center. I tell you, there is nothing quite like being around thousands of young girls whose main focus is cheering, haha. It was such a fun thing to do! 1.) These gals were REALLY moving fast! 2.) It was very dark in there except for the stage, which made strange bedfellows with the auto focus. 3.) I cropped to get up-close because I don't know the girls and didn't have their parents' permission to share photos of their daughters. But for now, without further ado, check out our Flying Ace! 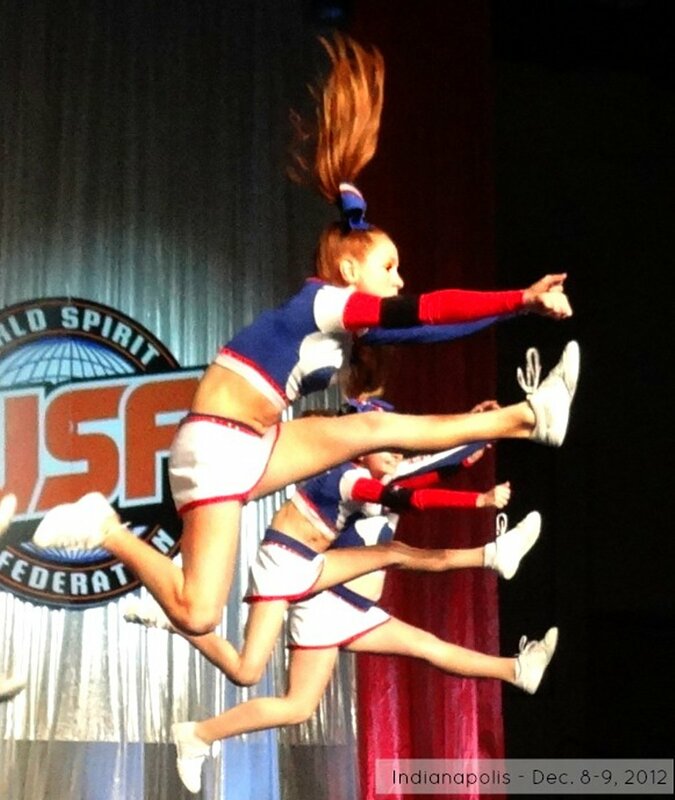 And she only just started cheering in April! from her Momma's side of the family. and a second cousin who were all cheerleaders. Guess it isn't a surprise she's such a natural! I love her beautiful red hair - looks like hot flames rising up in the air! My niece never stops cheering or jumping or flipping or dancing. Ever. I am not kidding, this child is ALWAYS moving! We're so proud of her and her amazing hard-working team! 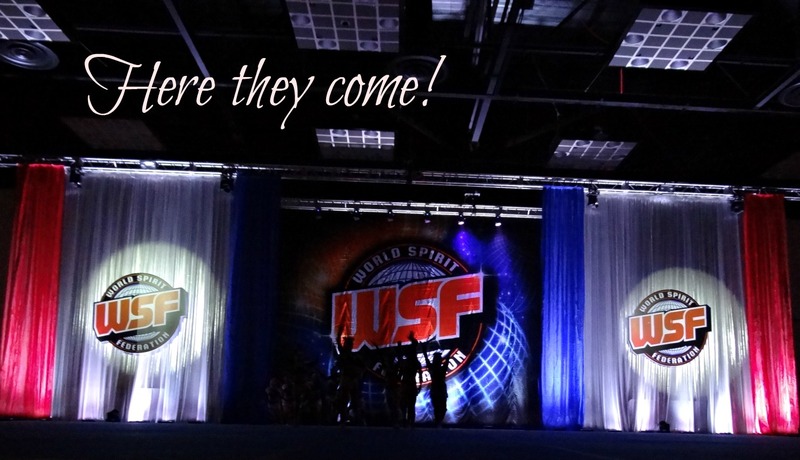 and then in Feb. they compete in Orlando! 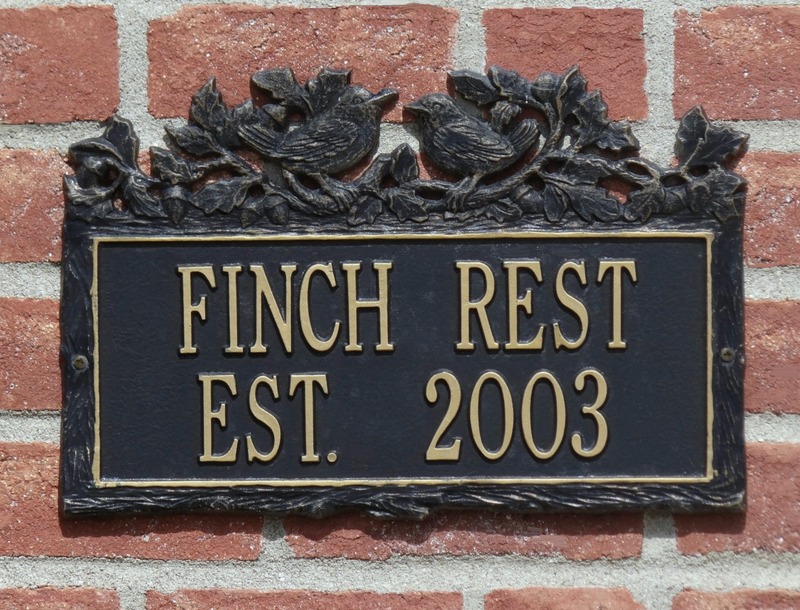 Do not copy without written permission from The Nest at Finch Rest. She's good, I know you are proud of her. Are there a day at Disney World when you go to Orlando? All her hard work is paying off. Best of luck to your niece, and her team at their next competition. Oh the energy! Loved the description of her hair. She's a cutie all right. Your shots are great Michele and your nice is in fine form. WOW these are some amazing shots of her wonderful talent! Great shots. She looks like she is awesome! How exciting...thanks so much for sharing. Wow...she is awesome, Michelle...I can't imagine either being that fit (or skinny) nor having that much energy,,,lol! Love her red hair too!